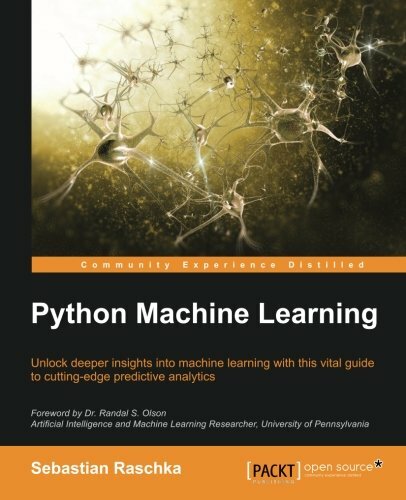 Python Machine Learning gives you access to the world of predictive analytics and demonstrates why Python is one of the world's leading data science languages. If you want to ask better questions of data, or need to improve and extend the capabilities of your machine learning systems, this practical data science book is invaluable. Covering a wide range of powerful Python libraries, including scikit-learn, Theano, and Keras, and featuring guidance and tips on everything from sentiment analysis to neural networks, you'll soon be able to answer some of the most important questions facing you and your organization.